Controlled using a wireless, handheld remote control with a patented three-speed variable control system. This means you are always in control of how fast or slow you want to go. And when you want to stop, your skateboard is equipped with an integrated anti lock breaking system so you can stop safely. 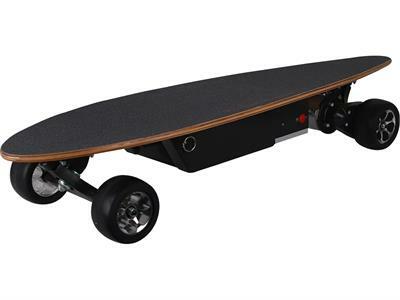 The MotoTec 400w On Road Electric Skateboard has a top speed of 10 mph with a riding time of 40 minutes.